Just across from us is the Cornerstone Golf Club. 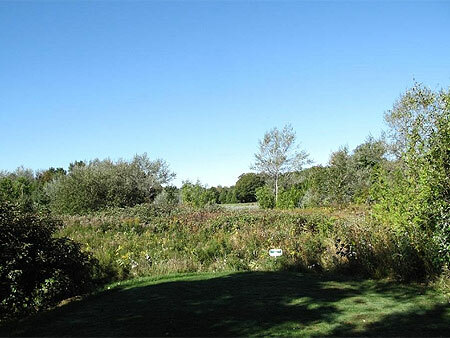 It was designed to give golfers the atmosphere of playing an old Scottish Course, with gentle terrain, stone hedges, and plenty of natural ground cover. 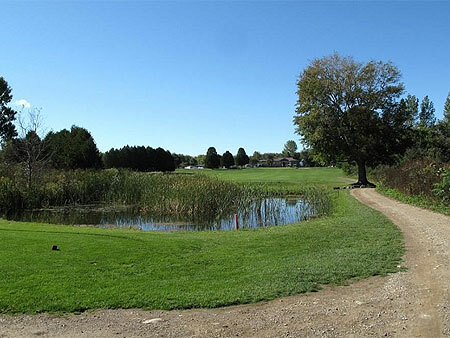 The course is 2,600 yards, with nine holes meandering through 100 acres of solitude and natural Bruce Peninsula beauty. 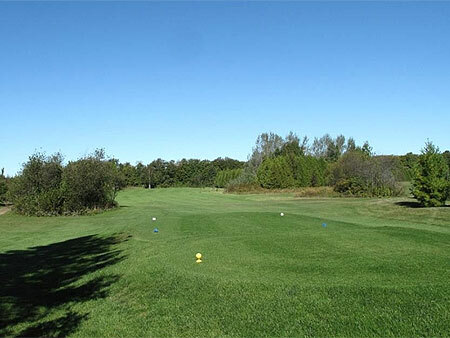 Forward tees encourage novice golfers while the contoured fairways, doglegs, ponds, and long par 3s make the back tees a challenge for serious golfers. The large property allows privacy from neighbouring holes, surrounded mainly by woodlands and meadows. A second set of tee decks offers a very different experience the second time around. play as many holes as you can until dark.